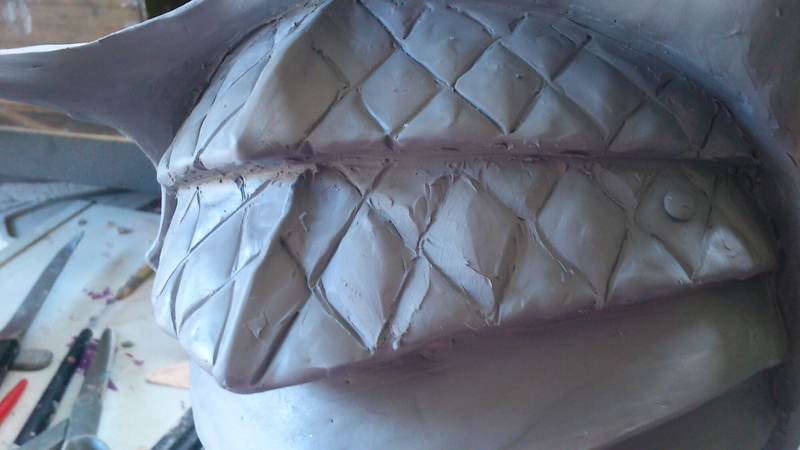 Line sketch then filling and removing small lumps of clay. Just need to figure out a way to make the scales look tidier. Okay, managed to use a cuticle stick, then silicone brush and then my hands. It’s not perfect so I’ll want to to a finishing tidy later. But I have an ice pack on the nape of my neck as it is so hot. Supposedly only 26 degrees but it feels more like 30.